All photos by Alex Robertson Textor. Alex Robertson Textor, one of our first 24 Favorite Travel Bloggers, recently took a trip to the Norwegian Artic. When it's hot and summery everywhere else, it's still frosty there. Hang on a second, where were you? I was in Longyearbyen, the capital and biggest town in the Norwegian Arctic territory of Svalbard. Svalbard is over 800 miles north of the Arctic Circle, between the northern coast of Norway and the North Pole. So, what brought you there? I'm working on a project about places along the edge of Europe. I also researched pieces for Gadling and Travel by Handstand. How long were you there? Four nights. Who were you with? I traveled solo. What was the best tip you got before you left? Andreas Umbreit's Bradt Guide to Svalbard was useful for instilling an appropriate respect for the intensity of the weather. What's the #1 tip you'd give a friend who wanted to go? Save up to splash out. 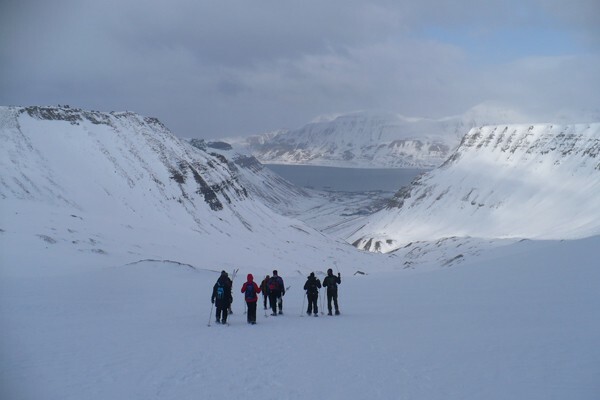 Svalbard is absolutely majestic, and you're going to need money to explore. Also, avoid the summer. The land itself is permafrost and not very attractive naked. Snow cover makes it gorgeous. What did you do? I hiked a glacier in snowshoes, then rappelled into an ice cave. 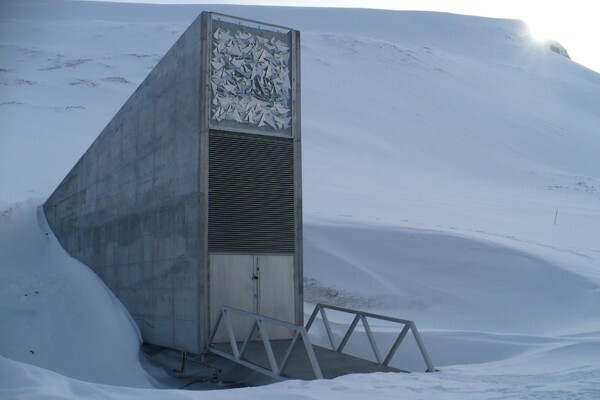 I visited the Global Seed Bank, perhaps Svalbard's strangest institution, though of course I wasn't allowed inside. I visited Svalbard Museum, took a taxi tour along the bay, snapped lots of photos, visited well stocked shops, drank coffee, ate Arctic cuisine at top restaurant Huset, and attempted to absorb the rather international social milieu. Were you there for the right amount of time? No. Svalbard deserves a week. How did you get there? I flew from Oslo via Tromsø, where I had to disembark, clear immigration, and get back on the plane. Svalbard, unlike Norway proper, is not part of Schengen. This was especially great: The nature is beyond anything I've ever experienced. Truly and unhyperbolically amazing. But this wasn't: Paying $21 for five postcards and stamps, with two of those postcards bound for Europe. I understand prices have to be high in a remote place, especially one administered by murderously expensive Norway, but that expenditure really threw me for a loop. I spent five minutes recalculating the exchange rate in my head. Descending the glacier after a day of snowshoeing. 1. Meal: The Arctic menu at Huset. The bill came to about $135. 2. 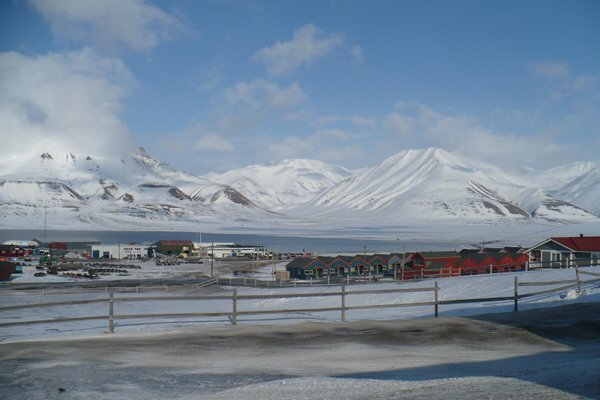 Neighborhood to explore: Nybyen, on the edge of Longyearbyen, is interesting. There's a gallery, an artists' guild, and a café. It's much quieter than the center of town. 3. Thing you did: My snowshoeing expedition was out of this world; the views coming down the glacier were remarkable. 4. Casual hangout: My favorite place to relax was the library at Svalbard Museum. There are books on the far north in several languages to peruse and comfortable fur-lined pillows for lounging. One place you didn't get to visit, but wanted to: Barentsburg. And Pyramiden, the former Russian mining town. 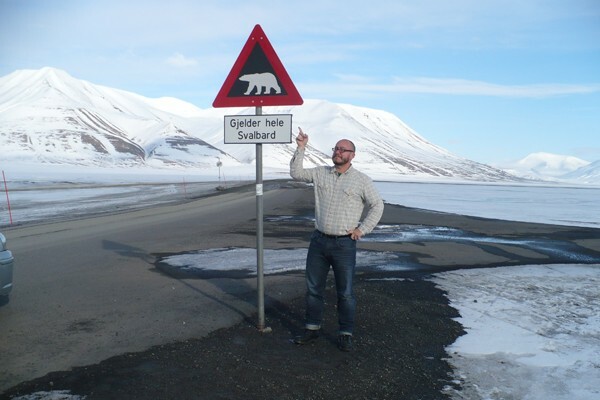 The author in front of the iconic Svalbard sign. 1. Glad you packed: Thermal underwear. 2. Wish you'd packed: Gloves made of something other than wool. 3. Didn't need: My heavy down jacket. During my late spring visit, the temperature hovered between -14C and -1C. My North Face Summit Series jacket did the trick. 4. Brought back: Lovely postcards of doors in Longyearbyen and Barentsburg for my mother and a tin mug with the iconic polar bear warning sign. Very little is created in Svalbard. It's not a place to purchase handicrafts. Would you go back? What would you do differently? I want to visit in February before the sun presents itself, when Longyearbyen is bathed in blue light and the moon illuminates the landscape at midday. Any surprises? I'm always surprised at the normality of life in extreme locations. People simply go about their business on Svalbard. Kids have to make it to school, people have to get to the office and their construction jobs, and hotel rooms need to be cleaned. It's strange to consider the absolute familiarity of most life patterns under such extreme weather conditions. You can't stop thinking about: The silence. Even interrupted by the occasional snowmobile, it was deeper than any silence I've experienced. There was also the sense that I'd barely scratched the surface. I couldn't stop taking photos of the valley leading out of Longyearbyen and thinking about the vast land beyond. Alex lives in London, where he writes about travel and edits Travel by Handstand, a beautiful magazine for the iPad. He travels for the opportunity to glimpse different ways of living.